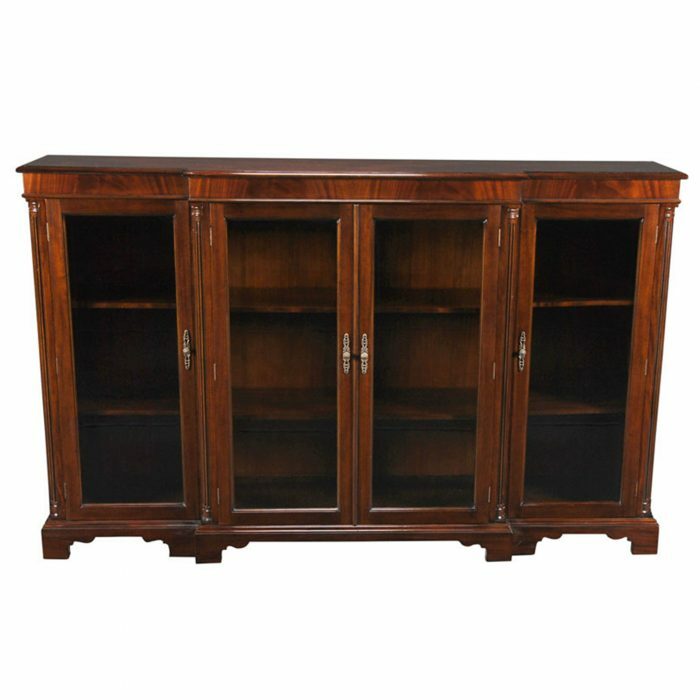 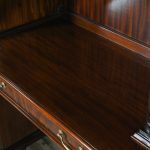 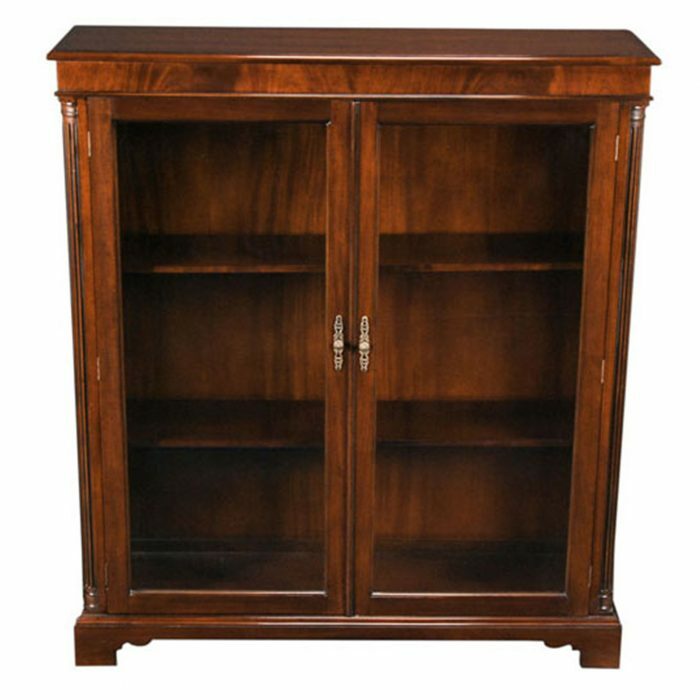 Decorative and functional this great quality four part Large Mahogany Credenza from Niagara Furniture can solve a lot of your storage and display needs either at home or in the workplace. 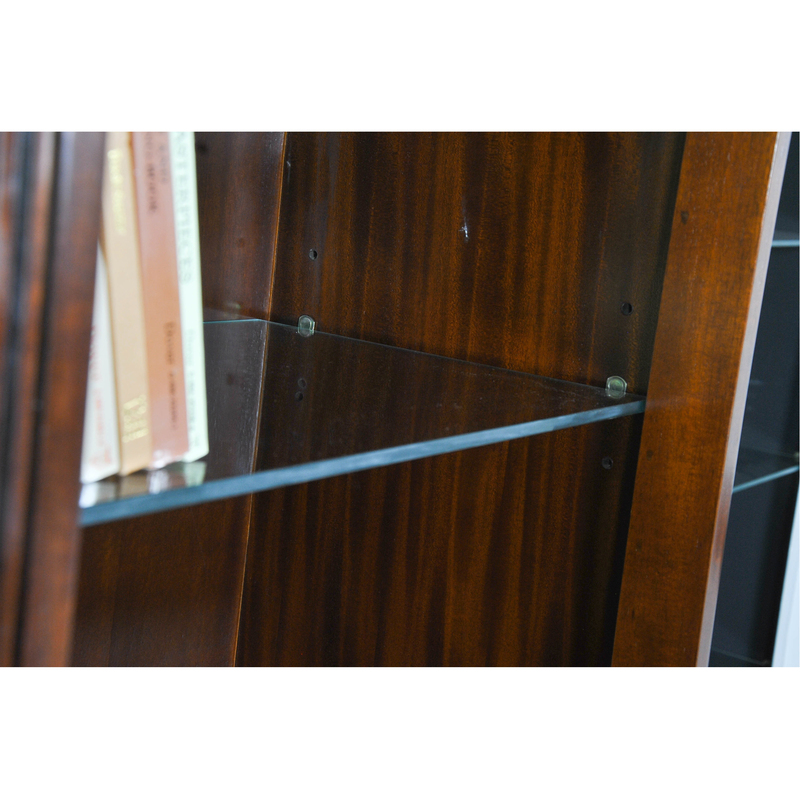 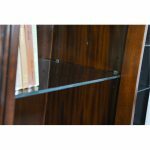 The top section now features glass shelves and a small arrangement of three drawers in the center, all of your cherished display items can be arranged here. 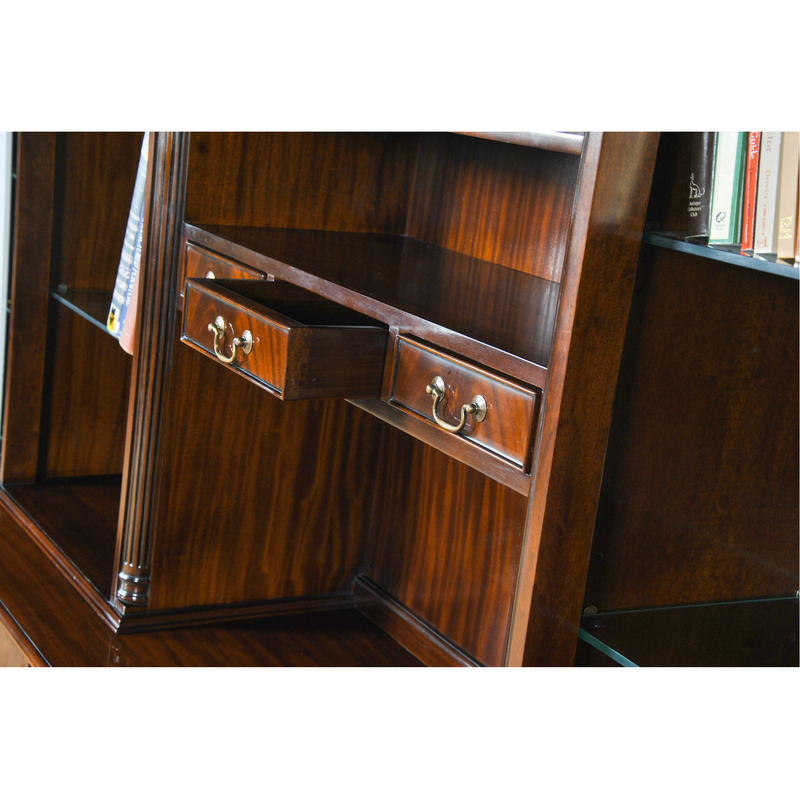 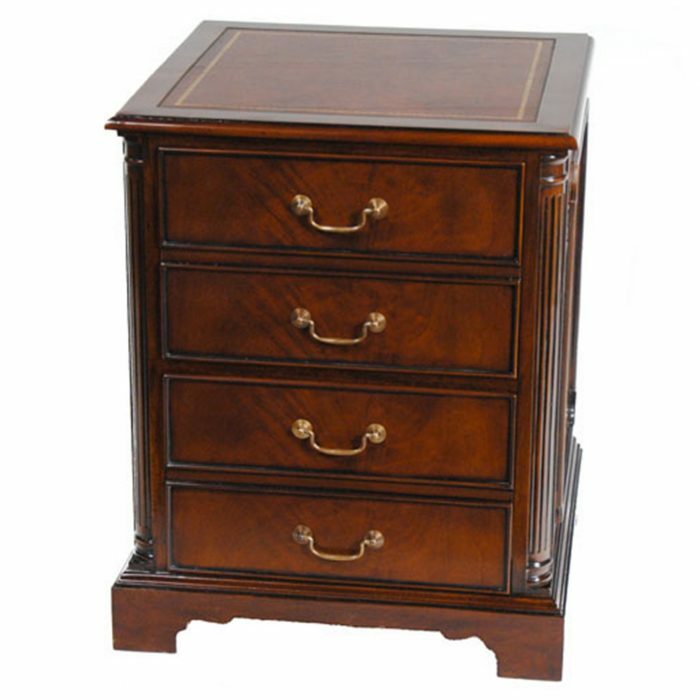 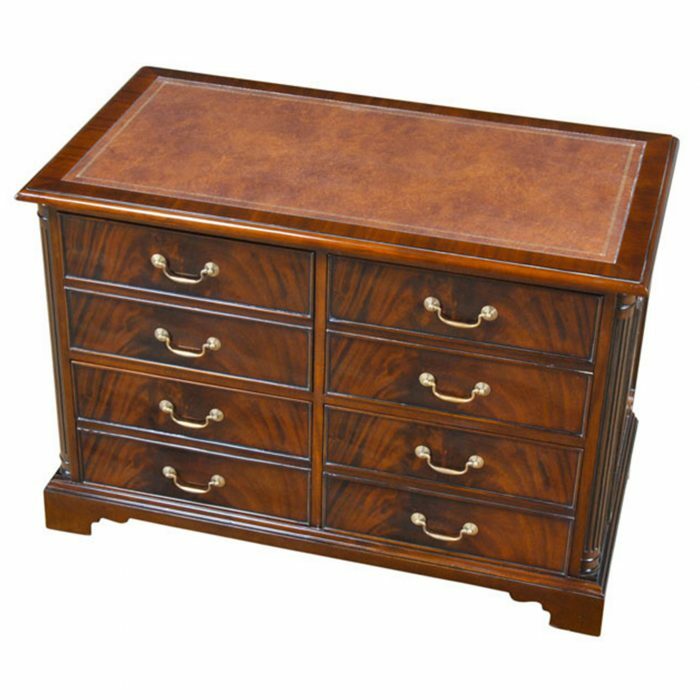 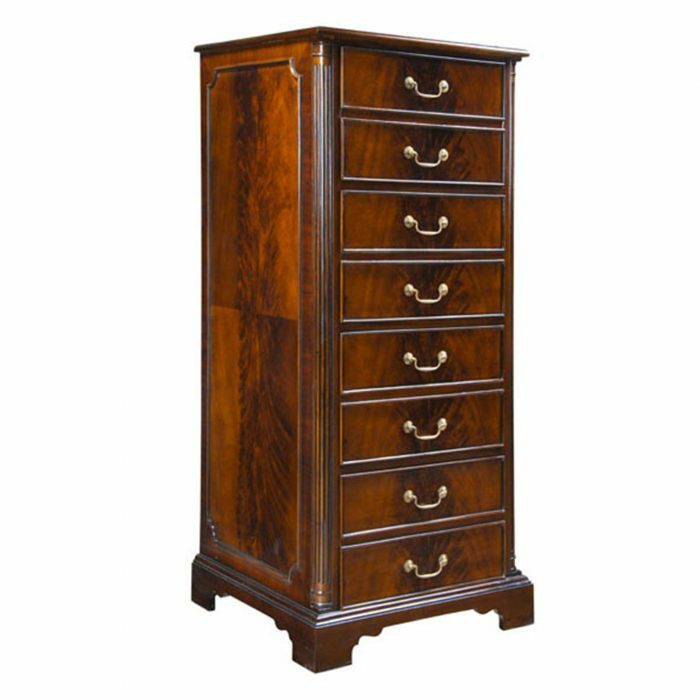 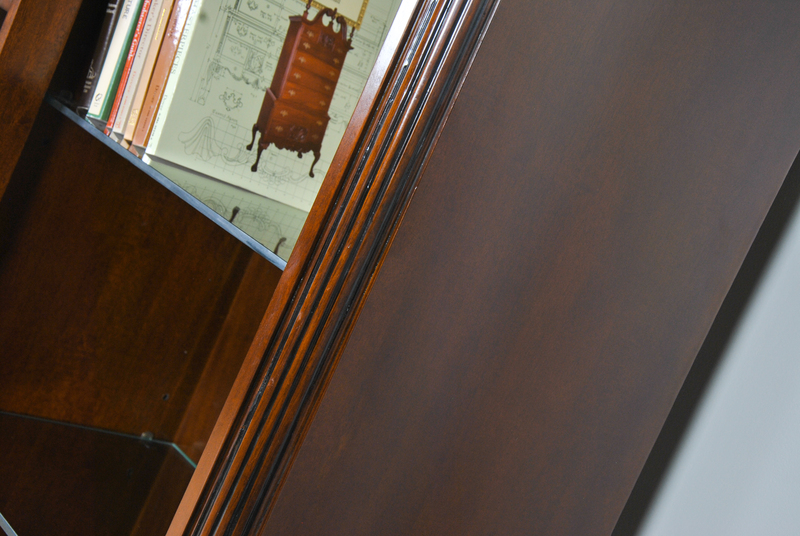 The center section consisting of three drawers features high quality dovetailed construction and beautiful brass hardware. 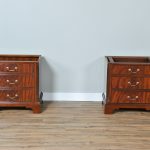 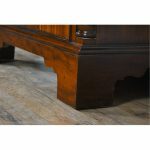 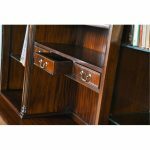 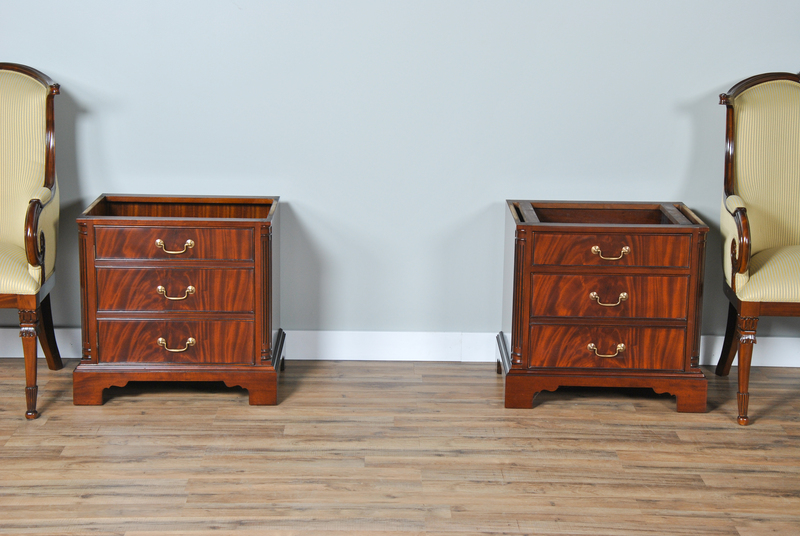 And the pedestal bases each has their own distinct function as well; with the left pedestal base containing a large storage area behind three faux drawer fronts while the right bank pedestal contains a hanging file drawer as well as one regular drawer. 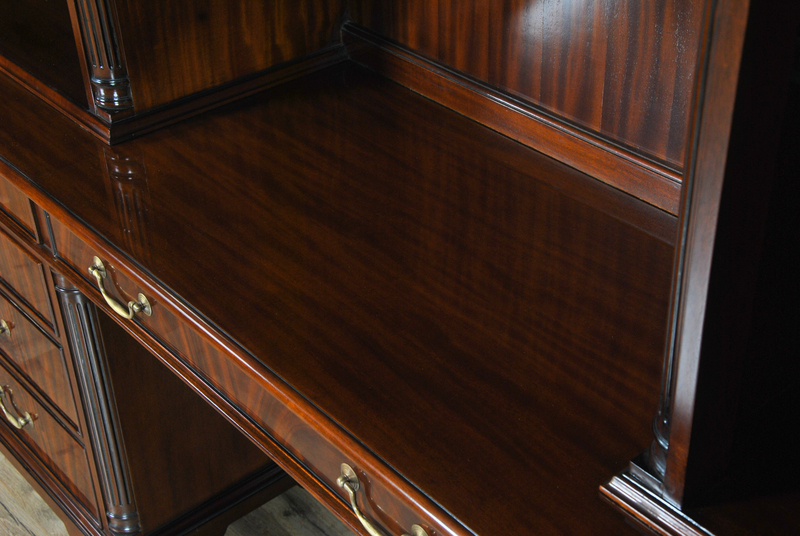 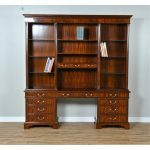 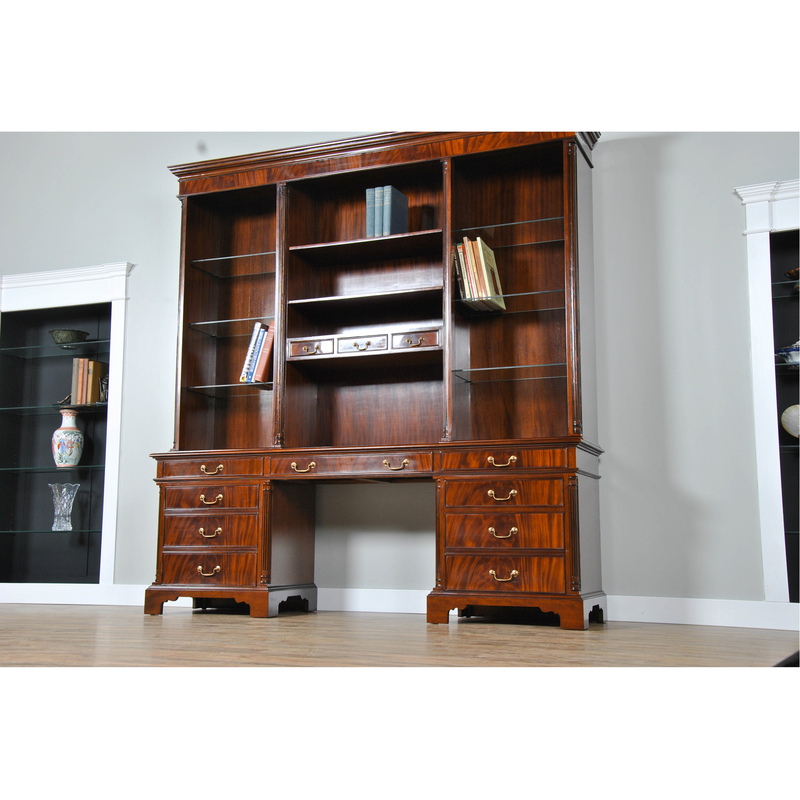 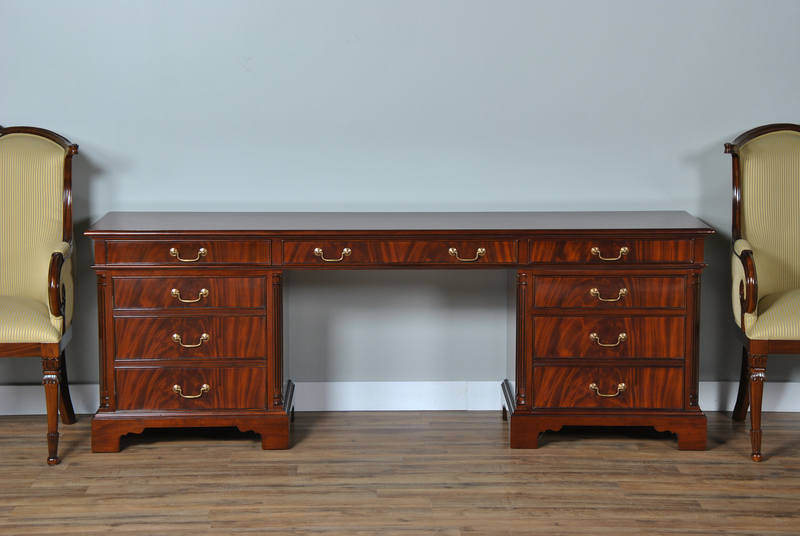 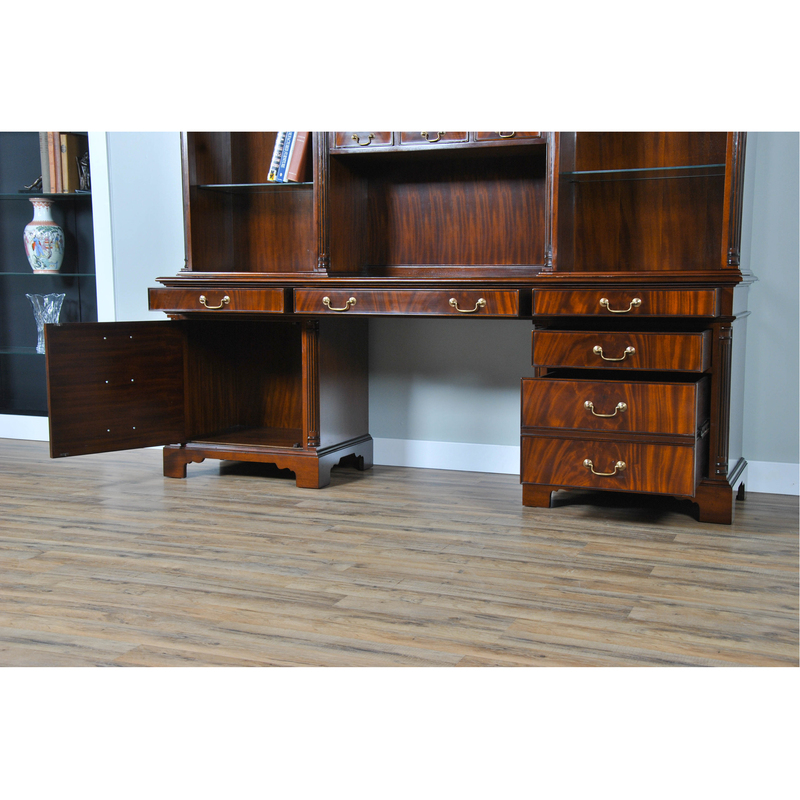 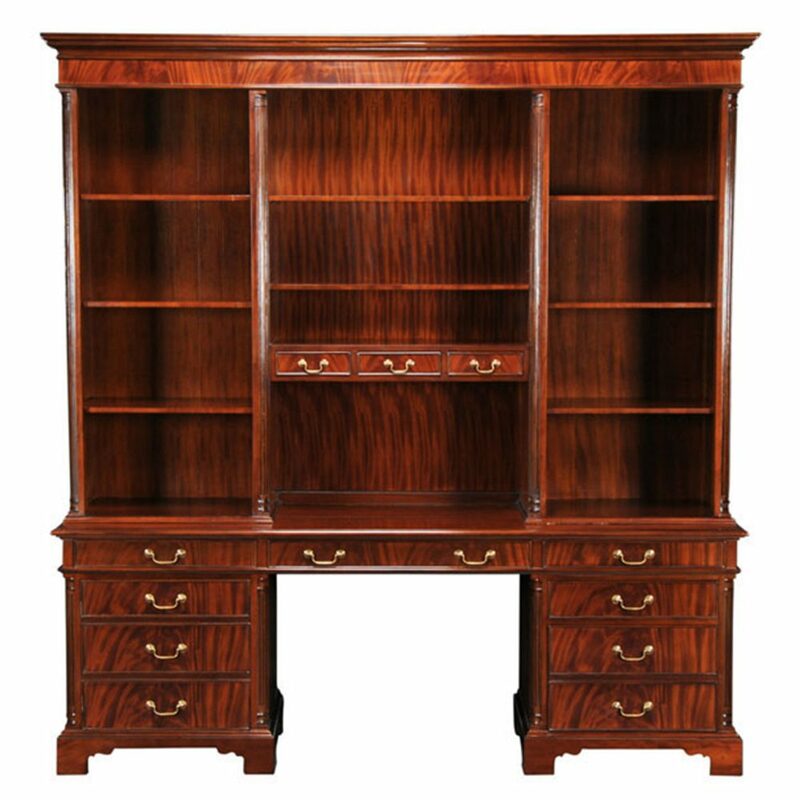 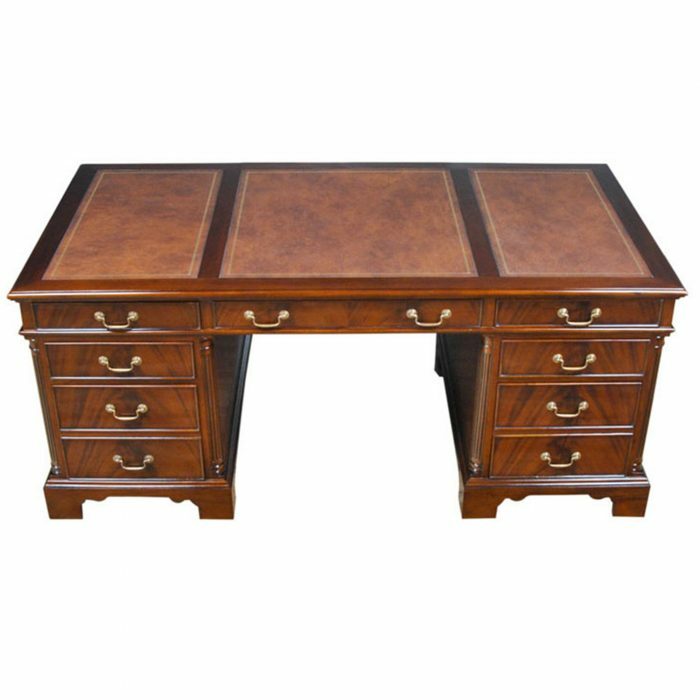 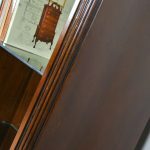 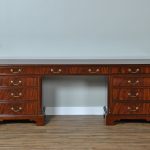 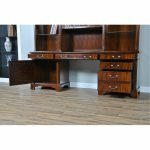 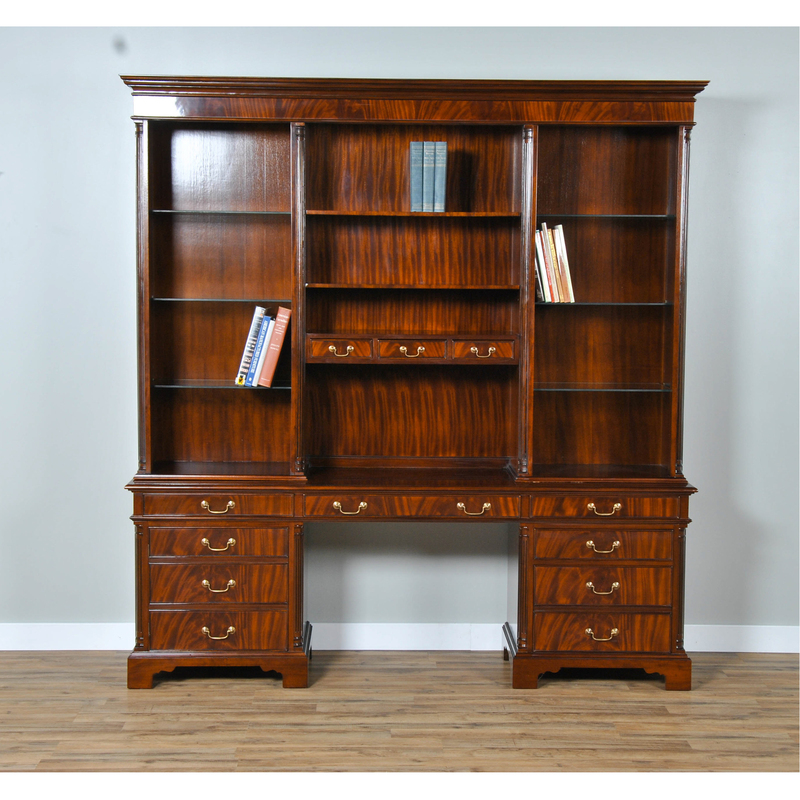 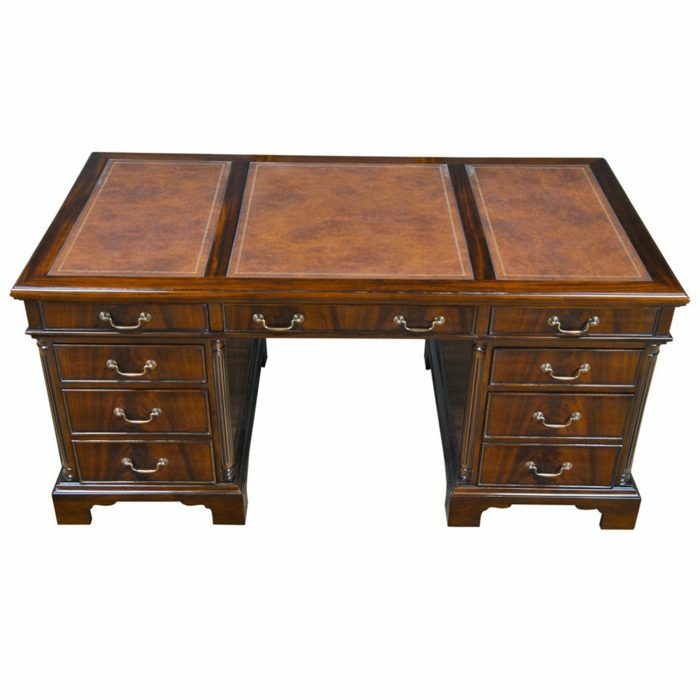 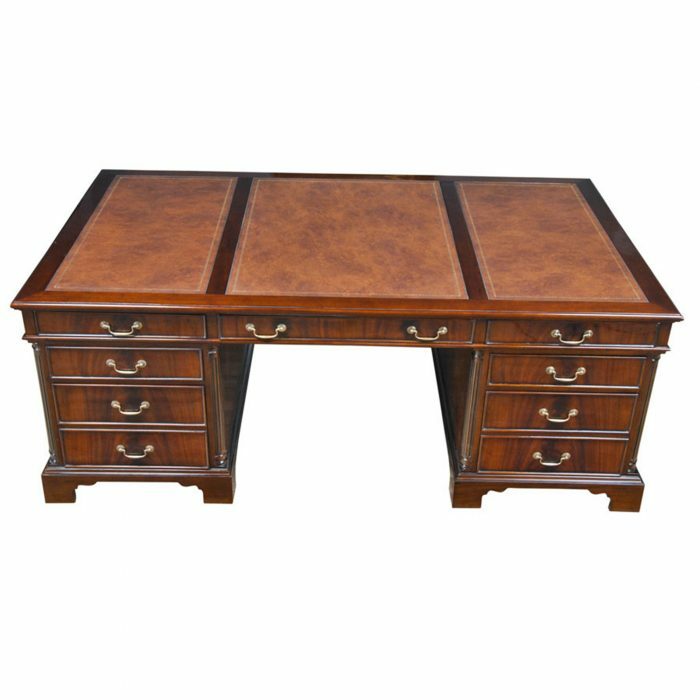 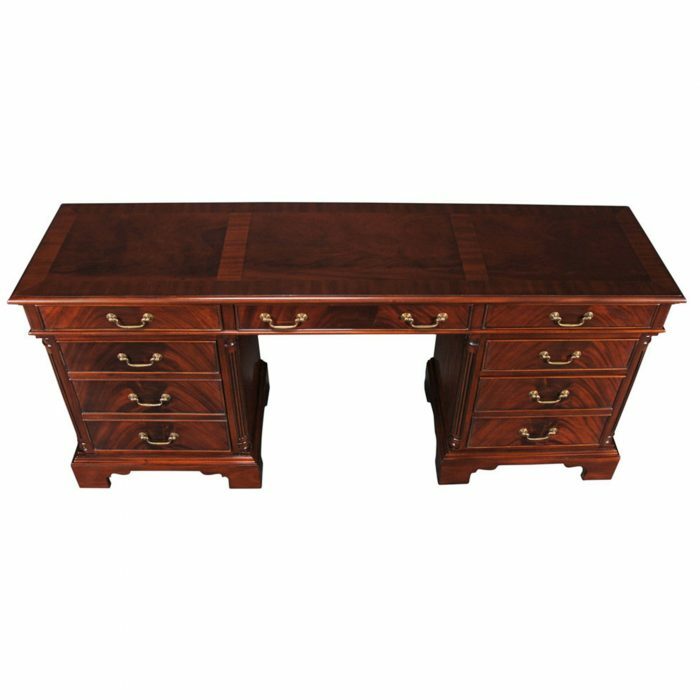 This Large Mahogany Credenza would look great against the wall with any one of our Niagara Furniture desks placed in front of it. 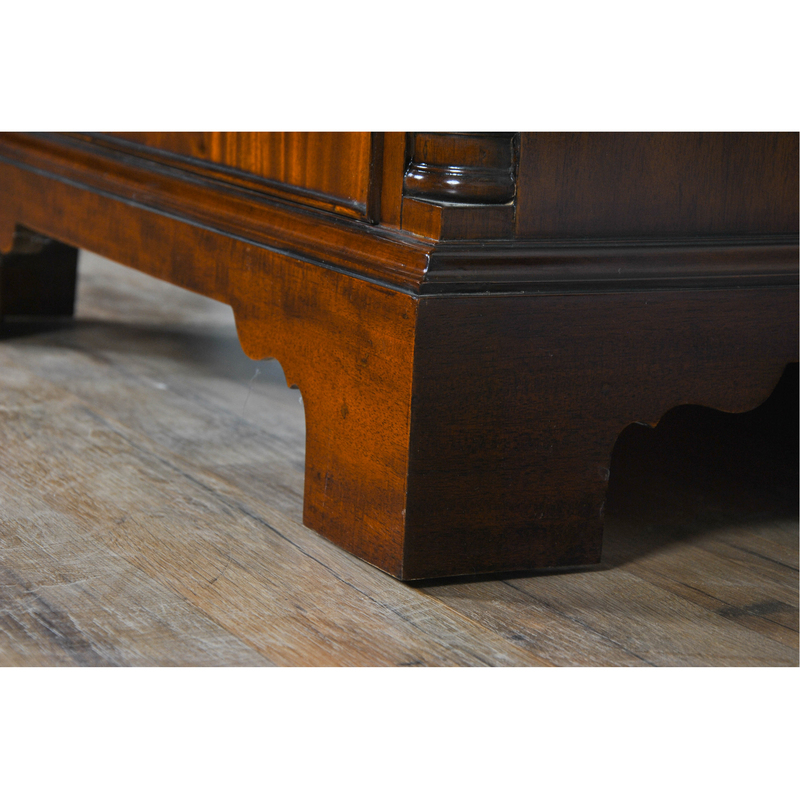 Kneehole is approximately 31 inches wide and 25 inches high.